Eco-friendly – Made predominantly from cardboard means it is easily re-cyclable. If you love foods such as smoked cheese, smoked bacon, smoked salmon and kedgeree, you can love this product! 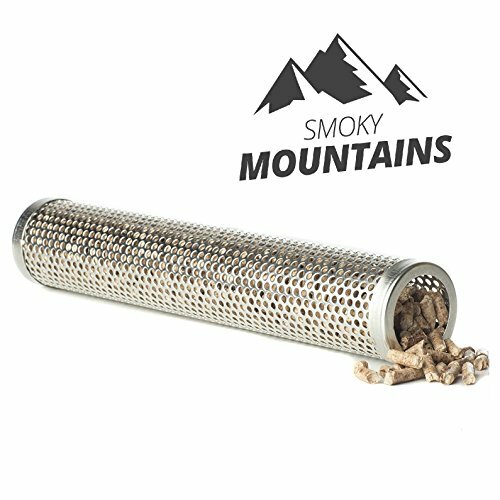 It is without a doubt the cheapest and easiest way to cold smoke at home. It may also be used for smoking your own garlic, chillies and salt. Even if it is made from cardboard, it’ll last a very long time (just remember that it won’t last very long if you get it wet). 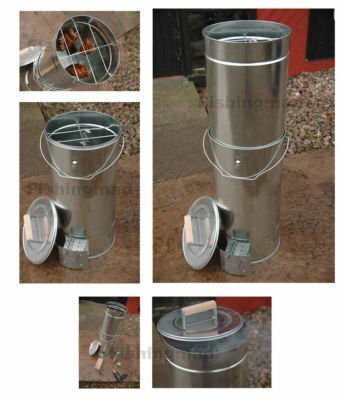 It’s called the “Eco Smoker”; for 2 reasons… It’s Eco-friendly – Made predominantly from cardboard means it is easily re-cyclable. It’s economical – No other product available on the market compares in price or in ease of use. 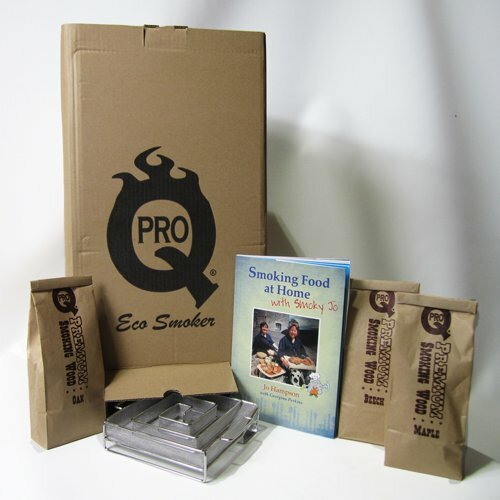 The complete package to get you cold smoking – The ProQ Eco Smoker Set comes with the following: 3 x chrome plated food racks, 2 x drip trays, 1 x ProQ Cold Smoke Generator, 1 x Book – Smoking Food at Home by Jo Hampson, cardboard outer box, cardboard inner box and 3 x packs of ProQ smoking wood dust (Beech, Maple and Oak). 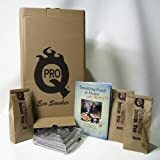 This makes an unbelievable gift for the person who has everything, the true blue foodie, or just about anyone that loves producing their own specialty food products. 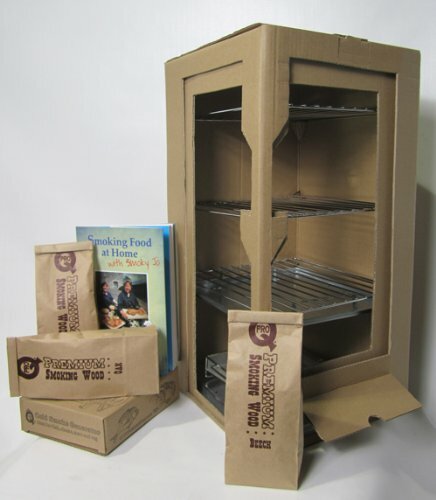 The ProQ Cold Smoke Generator works best with ProQ wood dust, other dust and chip may not produce the same results. Please be sure that this unit is not used indoors, it can create concentrations of carbon monoxide which is odourless and will also be deadly if inhaled. 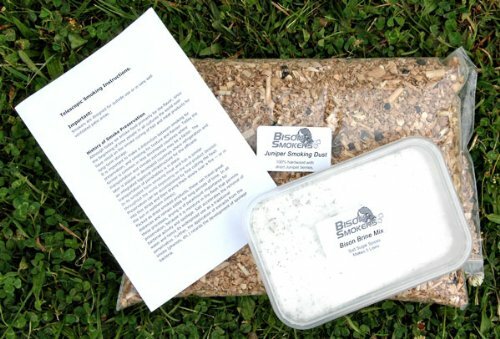 Use in a well-ventilated area out of wind and rain. 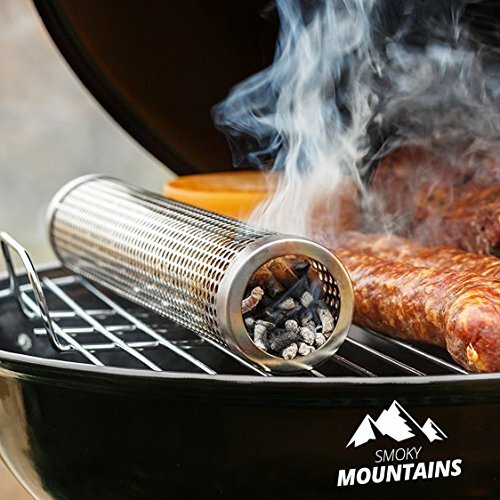 PLEASE NOTE – The ProQ Eco Smoker is designed for use only with the Pro Cold Smoke Generator. The use of the box with any other brand or size may result in serious injury or damage to property. This product is not compatible with the ProQ Artisan Cold Smoke Generator.